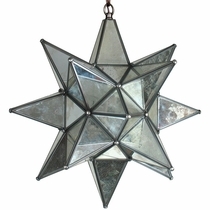 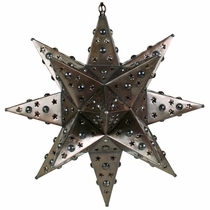 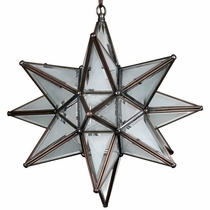 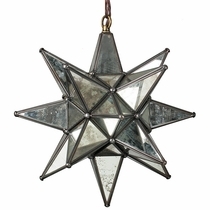 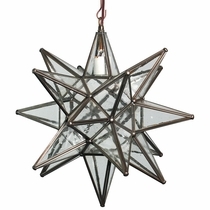 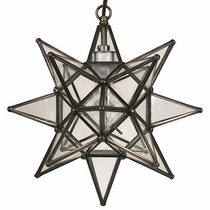 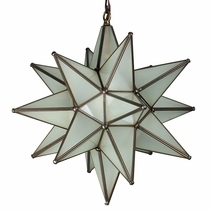 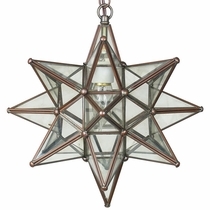 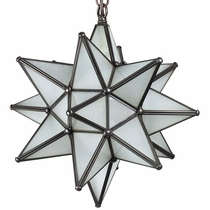 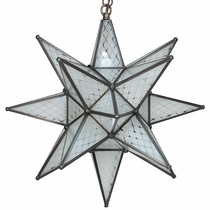 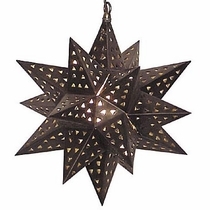 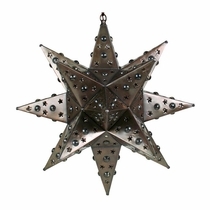 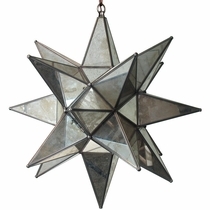 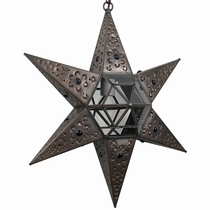 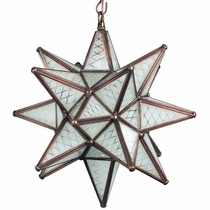 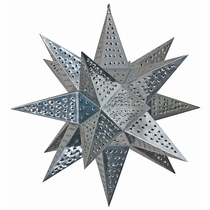 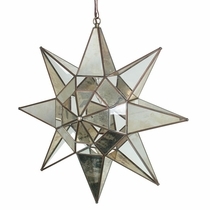 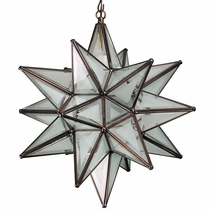 These Mexican star light fixtures are designed to create elegant lighting in any room to accent your rustic decor. 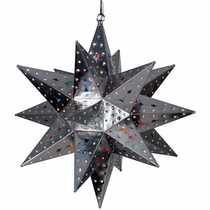 Choose from punched tin stars, frosted glass or mirrored glass stars. 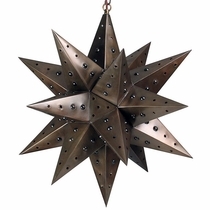 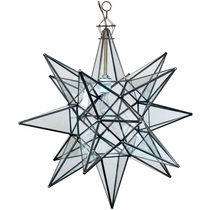 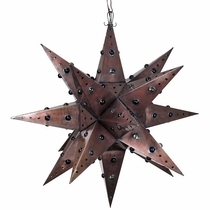 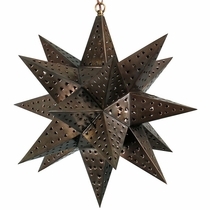 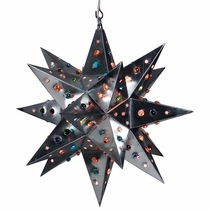 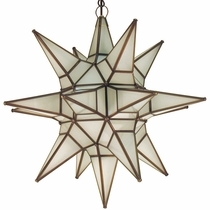 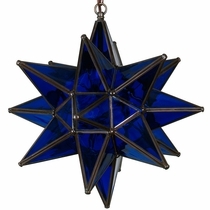 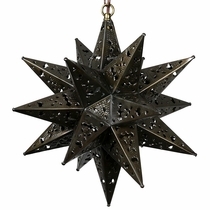 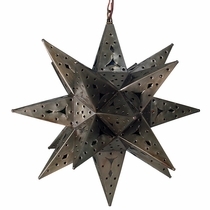 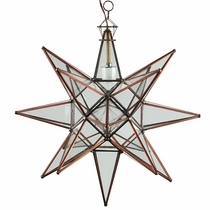 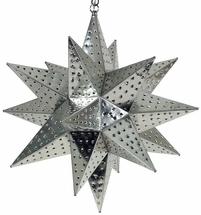 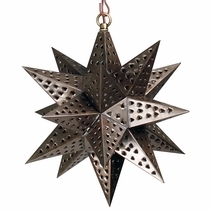 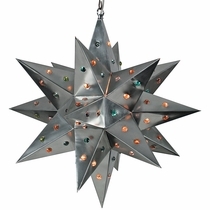 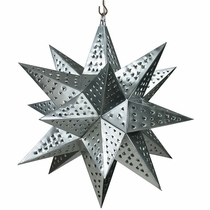 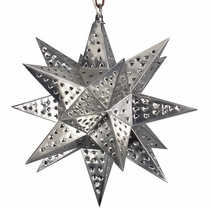 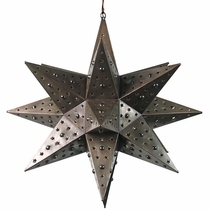 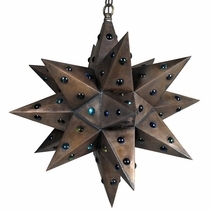 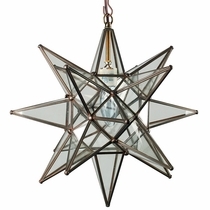 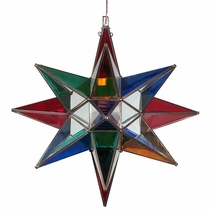 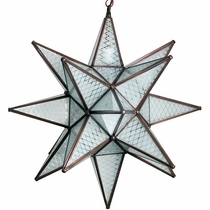 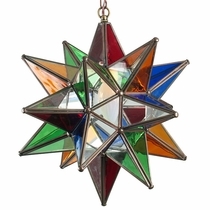 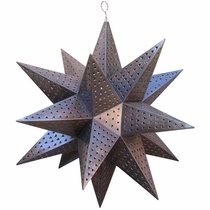 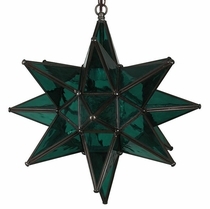 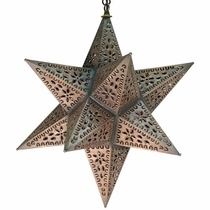 All of our Mexican hanging star lamps and lighting fixtures are authentic creations handmade by artisans in Mexico. 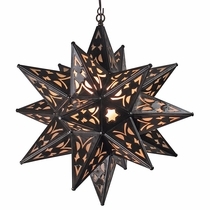 Star lights are not UL Listed units. 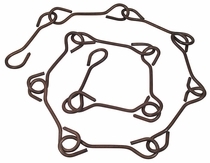 Cut to desired length for direct wiring. 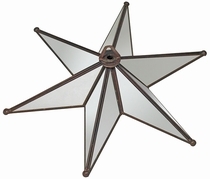 Ceiling and wall mount fixtures have a metal backing for easy wall or ceiling installation. 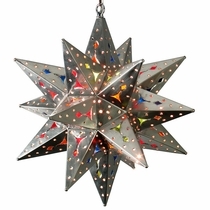 NOTE: Hanging Star Lamps do not include chain or ceiling plate. 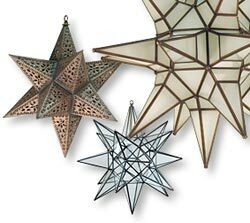 Must be ordered separately. 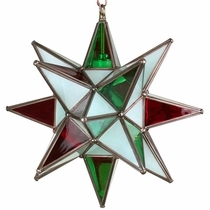 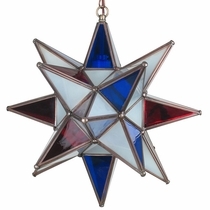 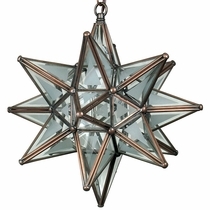 Mexican Frosted Glass Star Light 15"